An album for a change. 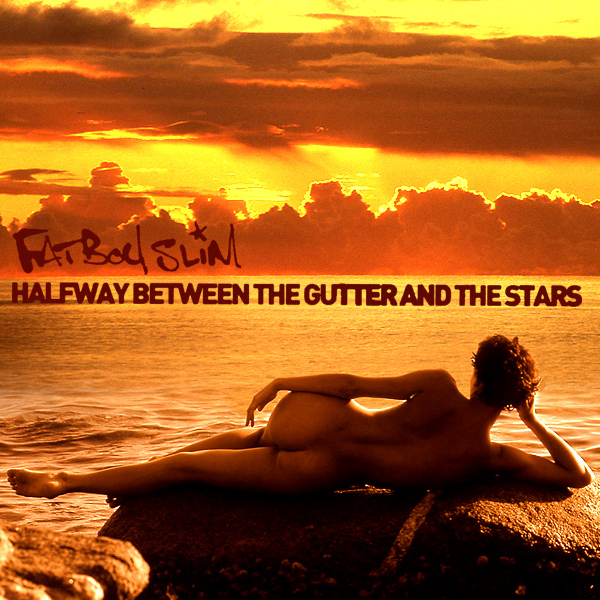 This time the rather longly titled Halfway Between The Gutter And The Stars by Fatboy Slim. On the original cover we see a tantalizing glimpse of what might be a naked chick but is too 'extreme close-up' to tell. Let's back that camera right up and see what we can see. Oh, she's moved to that rock. Was she naked? 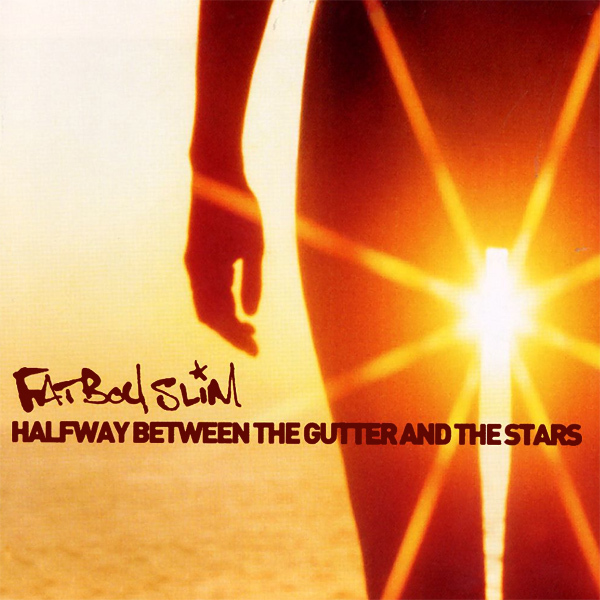 Look for yourself fatboy!